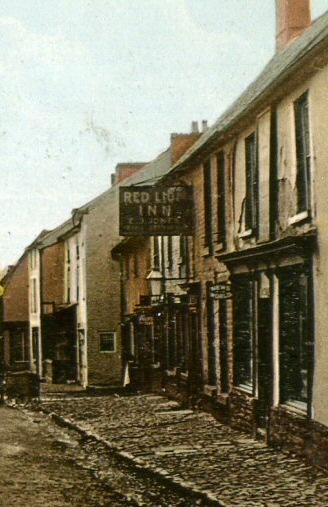 Red Lion is the name of over 600 pubs in the UK and thus the Red Lion as a pub sign probably has multiple origins. One originates from the time Elizabeth’s heir James VI of Scotland came to the throne as James I of England (1603). James ordered that the heraldic red lion of Scotland be displayed on all buildings of importance, including pubs, so that his English subjects could be reminded that the Scots now held power in the south. The amount of religious symbolism in pub names decreased after Henry VIII’s break from the church of Rome. 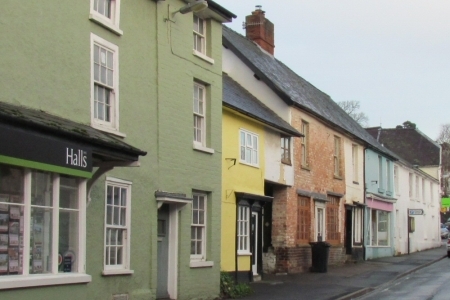 For instance, many pubs now called the King’s Head were originally called the Pope’s Head. 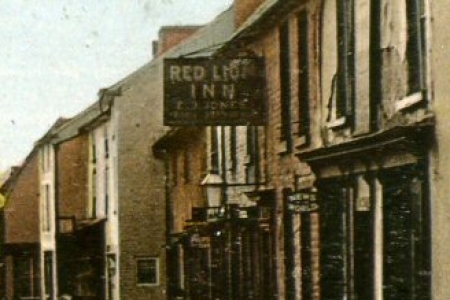 The Red Lion Inn had its first full licence in 1792 and continued operating for many years. 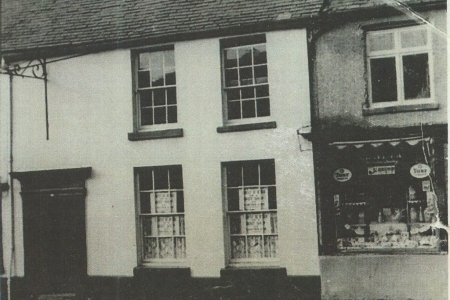 The landlords name on the sign in the photographs is E J Jones (Edwin John Jones) who ran the pub from 1911 until he died aged 57 in 1938. He left £221 to his wife Harriet. 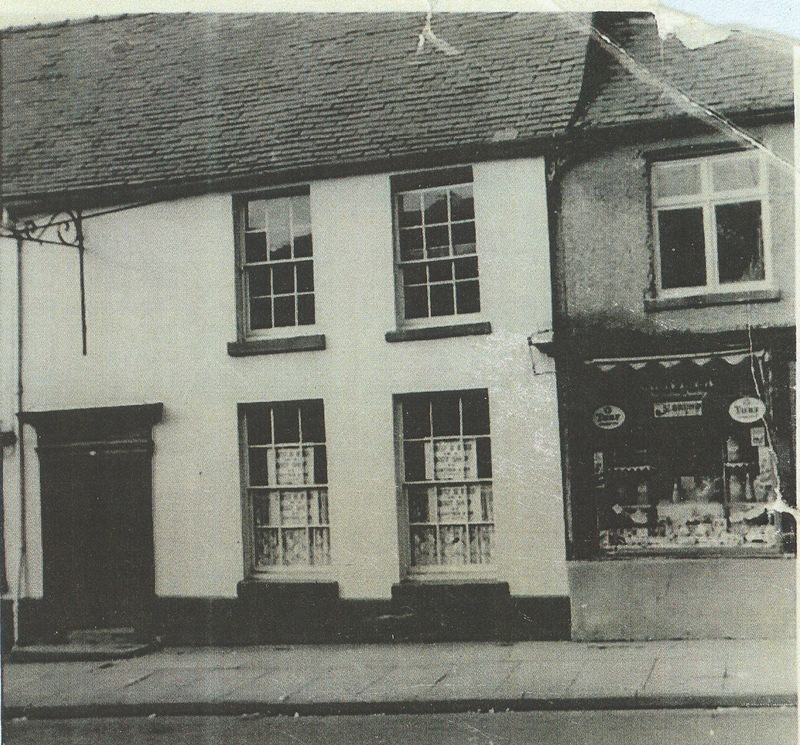 Under the last tenancy of Mr WA Farmer in 1956, it was sold for £700, by the Inde Coope Brewery, along with 42 other pubs in Shropshire. 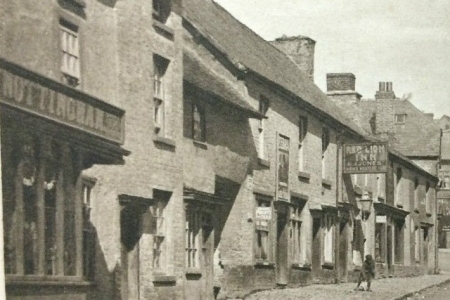 The remains of the pub sign can be seen is the last image. 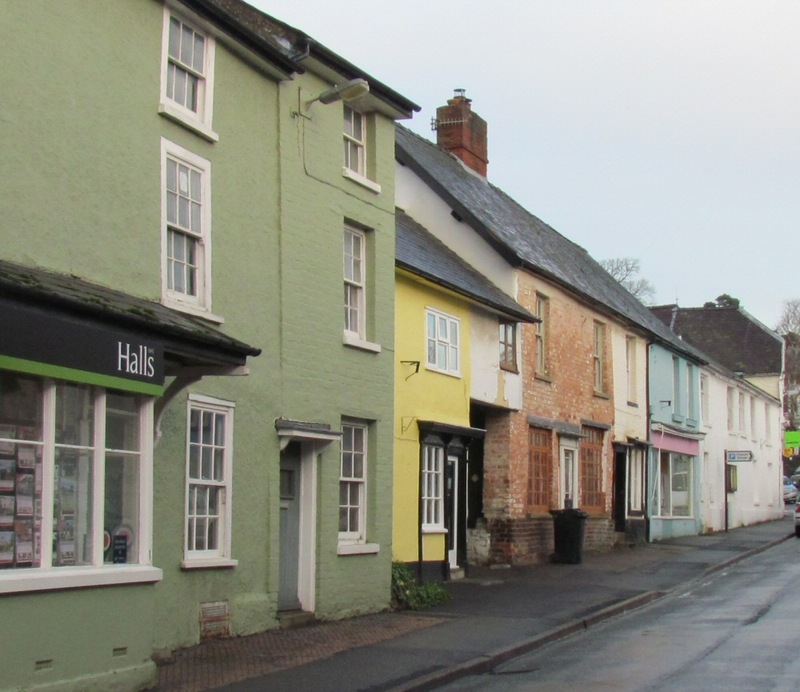 It then occupied variously as a private dwelling or shops up to the present. 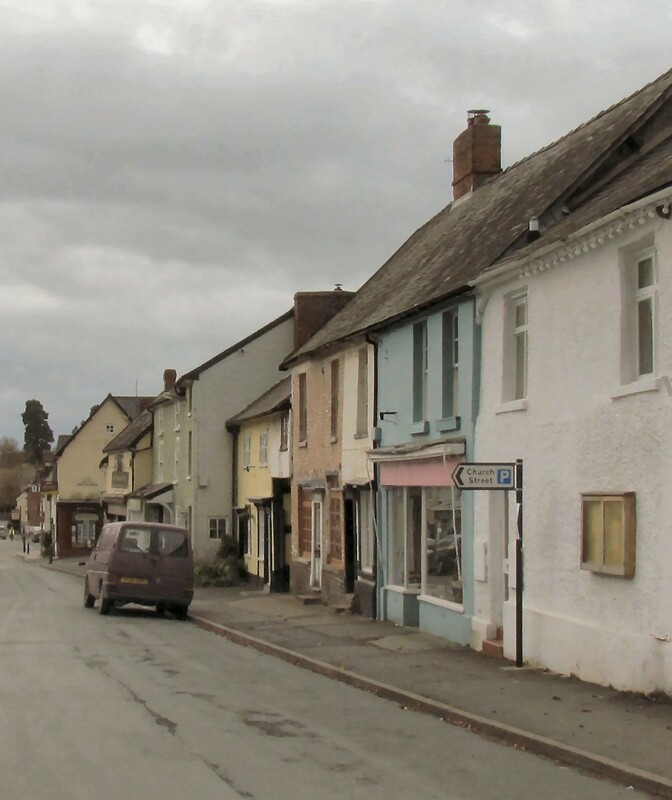 It was located in the red brick building in the c1911 images, now the blue painted shop in the 2015 images. 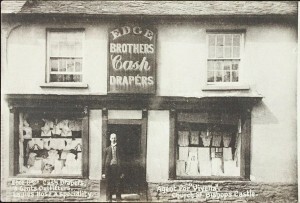 The double fronted shop next door in the c1911 images was Edge Brothers Drapers No. 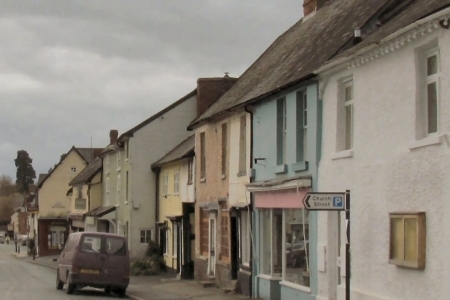 59, now part of Co-op. 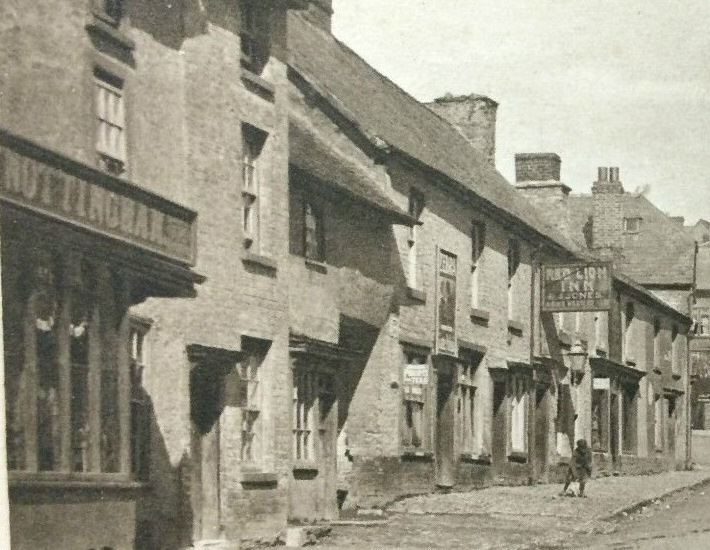 Pictured below is John Edge c1904.